What does it take to understand the ancient science of light? What can Vedic astrology give to modern day people? How can we access our lucky stars? Join us as author and Astrologer Komilla Sutton talks about her journey from Bollywood to Jyotish. 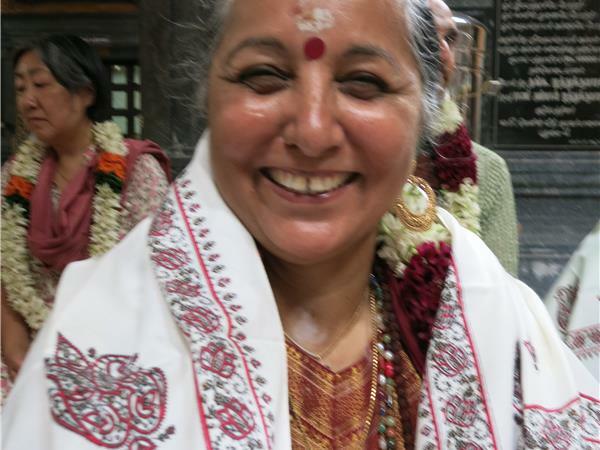 Komilla Sutton is one of the pioneers of Vedic Astrology in the West. She is the Founder of the British Association of Vedic Astrology. She was on the Faculty of American College of Vedic Astrology and the Council of Astrological Association of Great Britain. She was awarded Jyotish Vachaspati from the Indian council of Astrology (ICAS) in recognition for her work in Jyotish. Her life work is to make this ancient knowledge more accessible and build bridges between the East and West. She has leading trips to India since 1999 and from 2013 she is sponsoring annual Vedic Astrology Conferences with the aim to promote new generation of Jyotish Masters and encourage their interaction with seasoned Masters of Jyotish knowledge. Komilla Sutton is the Author of Nakshatra: Stars beyond the Zodiac, Personal Panchanga, The Essentials of Vedic Astrology, Lunar Nodes- Crisis and Redemption, Vedic Love Signs and Vedic Astrology.